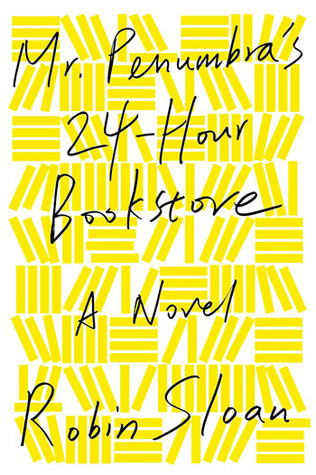 Mr. Penumbra’s 24-Hour Bookstore is a mystery/adventure tale of a young man in San Francisco who is recently laid off from work. He finds employment with Mr. Penumbra, working the night shift at the bookstore. What he soon discovers is that the bookstore is more than it seems. There is a secret society that comes in, using the books to break codes and solve the clues of a grand mystery. The main character is kind-of-likeable, but also kind-of-annoying with two sidekicks: Neel, a computer-obsessed best friend and Kat, an unusually intelligent young woman ( A Googler who also happens to be the love interest). The central mystery involves a peculiar library in the bookstore and a centuries-old encoded book, and the use of modern technology and software to help solve a very old-fashioned riddle. This book had a very strong beginning. The characters were interesting and well-developed. The writing was funny, but very on point with what life is like in the Bay Area right now. The book is set in San Francisco, so there are a number of local site mentioned throughout the book that I was easily able to identify. The rest of the book though… it had an iffy middle and a very blah ending. I’m still trying to the decide if it’s a tribute to Google for all its glory and magnificence, or a warning against Google for all its glory and magnificence. Either way, there is only Google. For a book with so much potential to be awesome, I wasn’t expecting the ending to be so…anticlimactic. The book also has way to many convenient details. This was one of my big complaints about the book Ready Player One. Neel is a millionaire who can pay for everything the group needs and Kat can get them into Google and utilise all the company’s resources, etc). There was never any real tension or peril in the book. I wasn’t really sure what direction the author was headed in most of the time. Is it a love story? A mystery? An adventure? Where do the three overlap? What does it all mean? So much build-up for nothing. I think Sloan did a wonderful job of keeping an even balance between technology and tangible books. I never got the sense that one is more important than the other. Despite a lackluster ending, I do still recommend this book, especially for the high school age-range.